Hygge; a Danish word that describes a feeling of coziness, wellness and contentment. 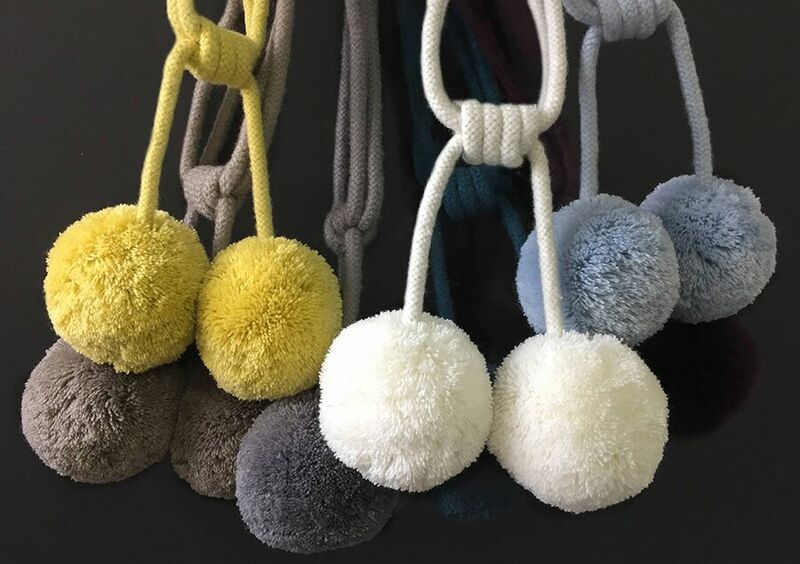 Our quirky pom-pom design tiebacks and key tassels resonate that feeling with a soft, tactile feel, made from 100% Wool that just screams ‘Touch Me’. Though Hygge is inspired by the laidback, Danish way of living that has become extremely popular of late, it’s also perfect for adding an element of texture to many different styles. Pair with anything from heritage rich Handcrafted Poles to the Scandi vibes of our Stockholm Fabric. Its 9-shade palette from rich raisin to cool cream make it extremely versatile with some bright colour-pops in-between adding an element of fun.